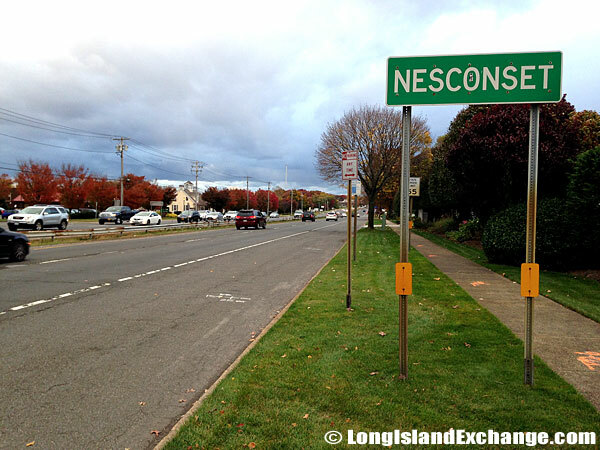 Nesconset is a hamlet and census-designated place located in Suffolk County, Long Island, New York. It has a total area of 3.8 square miles, all land. As of the 2010 census, there were 13,387 people, 4,506 households and 3,455 families residing in the CDP. The median income for a household in the CDP was $108,008 and the median income for a family was $118,054. Males had a median income of $83,679 and just $50,000 for females. Nesconset ZIP Code is 11767. Area Code is 631. The latitude of Nesconset is 40.851N. The longitude is -73.154W. It is in the Eastern Standard time zone. Elevation is 118 feet. A sign hangs on a landscaped area fence welcoming visitors and residetns to Nesconset, a hamlet and census-designated place located in Suffolk County New York. A sign on Route 347 heading northeast welcomes drivers into the community of Nesconset. The neighborhood derives its name from Algonquian for “second crossing”. 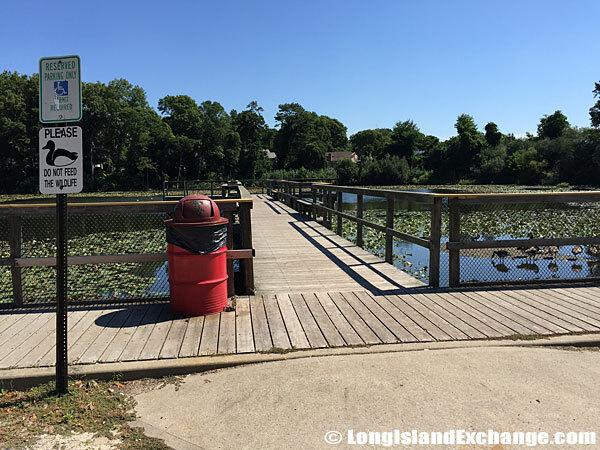 It was among of the last sections of Smithtown to be developed because it was heavily wooded. At that time, there were only three roads such as Lake Avenue, Gibbs Pond Road, and Browns Road have crossed the area named for the Sachem of the Nissequogue Indians. Church statues at Parish of the Holy Cross in Nesconset. 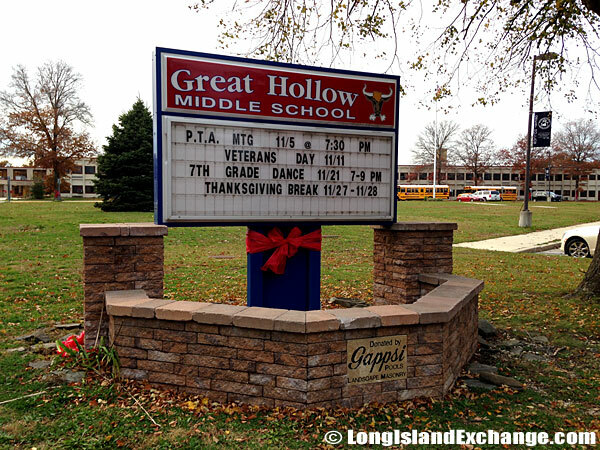 Great Hollow Middle School, 150 Southern Blvd, Nesconset, NY 11767. In 1900, two French immigrants named Louis and Clementine Vion were moved to Nesconset in which were responsible in cutting down trees to create Midwood Avenue in order to reach their property. The opening of Smithtown Bypass in 1950s was a major contribution in terms of Nesconset’s commercial development and construction of several housing projects. Post Office in Nesconset, NY. 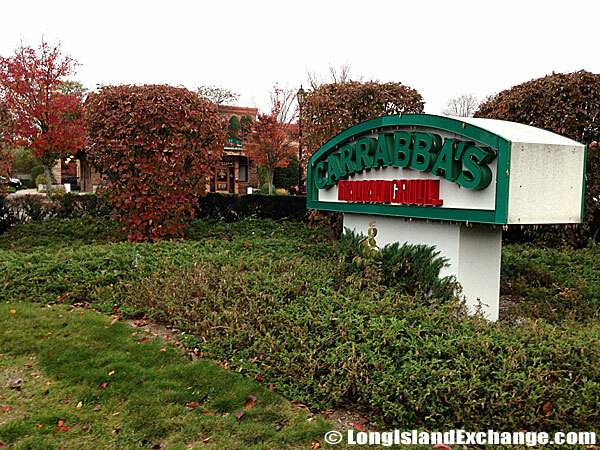 Carrabba’s Italian Grill, 730 Smithtown Bypass. The racial-makeup of Nesconset comprises of 93.0% White, 0.2% African American, 0.0% American Indian and Alaska Native, 3.01% Asian, 0.00% Pacific Islander, 0.07% from other races, and 0.9% from two or more races. Most of its resident’s ancestries were Italian, Irish, German, Polish, Russian, English, Scottish, Puerto Rican, Hungarian, French, and Norwegian. Majority of its residents are married. Married couples seem to be the rule in Nesconset, at least compared to other towns of its size. The town has also a large-family feeling. 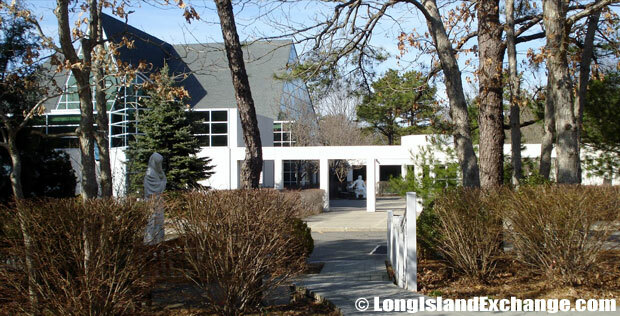 The Smithtown Library Building, Nesconset Branch. 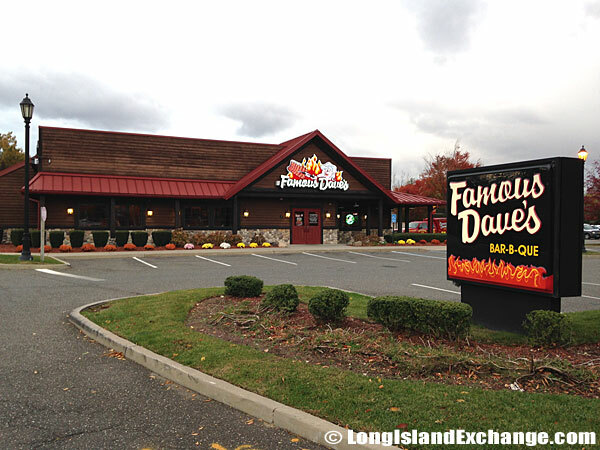 Famous Dave’s Bar-B-Que, 716 Smithtown Bypass. Nesconset is served by the Smithtown Central School District and other neighboring communities like Smithtown, Ronkonkoma, Hauppauge, and Kings Park. It has an approximately 11,000 students in nine elementary schools, three 6-8 middle schools, and two high schools. The district ensures all their students with fundamental academic skills and basic knowledge required for their maximum educational development. 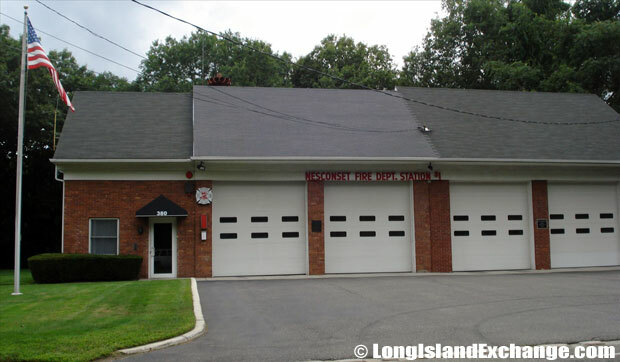 The Nesconset Fire Department serves Nesconset, as well as areas of St. James, Smithtown, Lake Grove and Ronkonkoma. The department is staffed by trained volunteers who respond to more than 1,600 emergency incidents each year and provide educational fire safety programs for local residents. 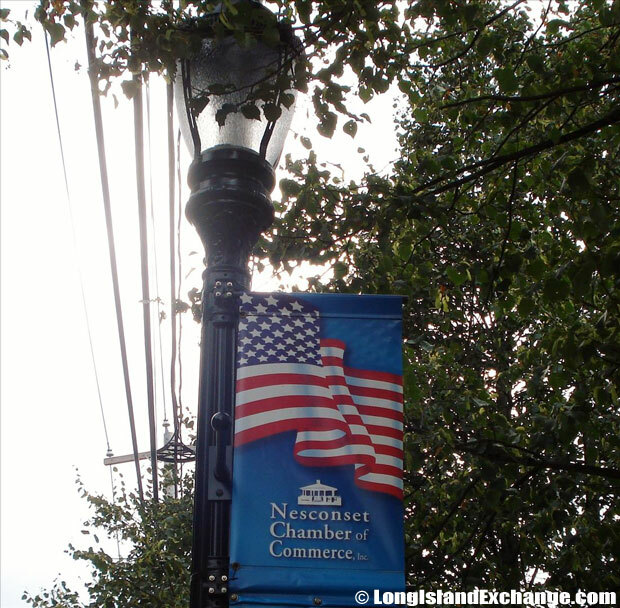 A Nesconset Chamber of Commerce Light-post Banner. Gibbs Pond, Gibbs Pond Road. About 80% of the housing units in Nesconset are occupied by their owners. Nesconset has several mixes of various types of housing including Victorians, Ranches, Tudors, and Colonials. Nearly all of its houses are newer than those found in most other places. Home prices in Nesconset are very much affordable with the median sales price for homes Nesconset in 2012 was $400,000.